Our Patio Doors have frames and glass which are extremely energy efficient, with incorporated multi-point locking mechanisms which provide outstanding security. As with all of our double glazing and door packages, we offer various styles of patio door. Posh Homes offers three main patio door styles which provide different aesthetics and functionality. 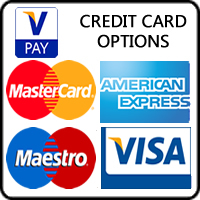 These doors are often called gliding doors or bypass doors which are extremely popular. These doors allow a lot of natural light into the room and have easy maintenance. These PVCu Doors consist of two plus panels, at least one door is required to slide back and forth along the rollers. Fixed door panels can be combined to expand the length of glass. These doors are often called hinged patio doors, which operate in the same principle as a standard exterior door. The doors are centre hinged and open up like butterfly wings. 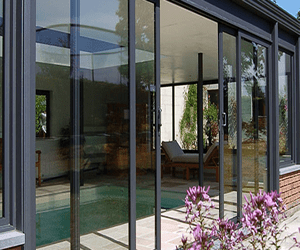 The folding patio door system is often used within a wide area opening to the garden. Each door panel slides on an overhead track, folding neatly for full access. Available between two and eight leavers. These double glazed doors are available in the following materials: aluminium, steel, wood, vinyl, fiberglass, wood and clad-wood. 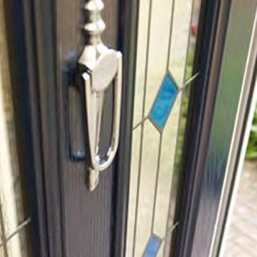 Book an appointment with "Posh Homes" to have a brand new replacement front door or back door today!